StarTropics is one of those franchises that saw its start on the NES and never really took off after that. Playing somewhat like a tropical version of The Legend of Zelda, StarTropics was something of a cult classic, made particularly famous for a letter which came with each copy that players had to dip in water to receive a secret message to progress. 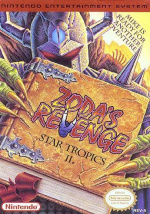 It's sequel – Zoda's Revenge: StarTropics II – was a worthy follow-up to the original, though it didn't do very well due to being released too late in the NES's life. While the series has still been on ice for over twenty years and doesn't look like it'll be coming back anytime soon, Nintendo has finally opted to bring these two titles to the North American Wii U Virtual Console. It may be several months behind the equivalent release in Europe, but this'll nonetheless be a welcome inclusion for those who have been interested in this piece of Nintendo history and didn't pick it up when it previously came out for the Wii. What do you think? Will you be getting either of these? Do you think the series might come back someday? Share your thoughts in the comments below. I've never played any of the Startropics games and kinda have been on a kick to play some old school Zelda like clones like Neutopia or something. So this could be right up my alley. It would be pretty neat if the series came back. @ap0001 I always wondered why this never took off. I know these were made exclusively to appeal to North Americans, but I think a third game could be pretty cool. It'd certainly help with the sting of waiting another year for Zelda! @ap0001 Yeah, I really, REALLY want these games on the 3DS. I can already play them on my television through my NES or Wii. Still, I'm glad they're getting a bit more exposure by showing up on Wii U VC. I might get this. How good are these games anyway? Someone go revive that thread for the 200th time "Startropics is PROOF Nintendo is giving up on the virtual console"
Still one of my favorite games on the NES! I loved how the original came with a piece of paper you needed to dunk in water for one of the puzzles. So I was right then? EU Wii U VC goes to hell (several weeks of nothing) meanwhile NA plays catchup. @Grumblevolcano You guys in the east got Fire Emblem, so you're catching up with us as well. @TheRedCap30 They are considered pretty good by the community. If you are curious I suggest looking up a guy named Nitro Rad on YouTube who did two really good reviews on both games. @allav866 I'm talking about Wii U VC, not new retail titles so infact NA is also behind regarding Fire Emblem. EU has Fire Emblem, Fire Emblem Sacred Stones and Fire Emblem Shadow Dragon whereas NA doesn't have Shadow Dragon. @Grumblevolcano Huh. Didn't know you got all those Fire Emblems came out for you. And now I'm even more jealous. Great Nintendo games that had difficult bosses. Why can't we get the 3DS version as well? What will new players do when they come to the water-dipping bit?? I'm super excited that this finally made it to the NA Wii U VC, Going to show my support and upgrade these from the Wii to Wii U. Can't wait to revisit them again! @TheDavyStar The Wii version as well as the EU Wii U version includes that part in the digital manual that comes included with the digital copy of the game. The StarTropic games look really cool so I'm definitely interested. I just don't think a third game will come soon because StarTropics isn't really that popular. Yes!!! Wished they were on 3DS too though. And it's not on 3DS because? And while we're at it, where's Earthbound Begining, Adventure Island, Stinger, Double Dragon III, Uforia??? All released on Wii U but not 3DS. 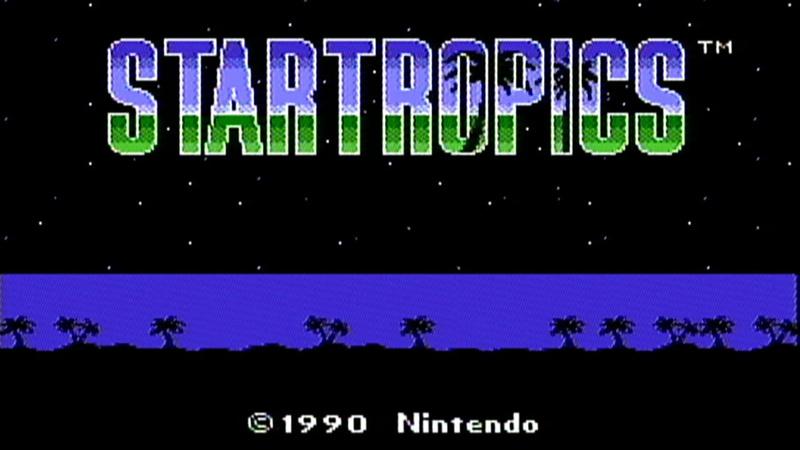 Had the first Startropics on my Wii. Loved it. Sold my Wii (with the 16 VC games I'd bought) like a fool. I may download both of these. @TheDavyStar I have Star Tropics for the Wii virtual console. They reproduced the letter in the virtual manual. YES! This was a great way to start my day! 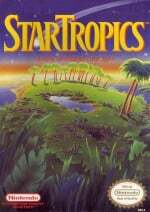 StarTropics should be Sakurai's next franchise resurrection. There is a lot of potential for new and interesting gameplay, as we saw in Kid Icarus Uprising. Great! I'll download both. I've been meaning to play these games. Eh, I'm still waiting for Drill Dozer, Nintendo. Give me that already! Nice! You know what would be great, though? If the series actually got SOMETHING in Smash! (seriously, I'll even take a single trophy). I just LOVE it that the article is talking about Startropics games, but theres not ONE decent image of the game. Hell, he just says it looks like zelda? One of the worst articles I've read in a while. Being a generic looking white kid named Mike, about the same age range as the protagonist, I attached to this game HARD as a kid. I will say some puzzles are a bit tough until you find a hidden passage or talk to a specific towns-person. First game has a difficult final area. As a kid, I ended up beating Zoda's Revenge before going back and clearing the first game. But we have save states and walkthrough now, so neither of these issues are really valid these days. For those curious, give the first one a go. The game oozes charm and quirk. Must have been 5 or 6 when I rented the first game several times. I remember the music being so catchy. While I'm excited thereo finally releasing in the US, I'm horribly disappointed that there not coming to 3ds. I've literally been waiting since they announced virtual console for 3ds and it's just sad that it just won't happen. Crapping on the old 3ds owners again, with total malice. This would've been a great game. Stuff like this is why people just get roms off the web. Forget Startropics, I need Secret of Mana, Chrono Trigger and the Ogre Battle games on Wii U Virtual Console. It does. Its a shame it never caught on the way other Nintendo franchises have. Its a fairly challenging adventure game with memorable moments, catchy tunes and seldom used gameplay mechanics. Too bad Nintendo can't find a way to get the rights to similar greats like Crystalis, Faxanadu and The Guardian Legend. Pretty good. you have an overworld map, you travel in a submarine, each chapter is autosaved, there are some neat gameplay mechanics, good tropical themed music and challenging dungeons and boss fights. The not so good, jumping around on tiles and you walk in sharp turns. especially in a boss fight is awkward and slow, you get weapons upgrades but your reduced to your stupid yo-yo if you lose too many hearts and its impossible not to get hit, and hearts and stars aren't easy to come by or easily dropped. Some rooms lead to instant death traps because Mikey never learned how to swim. If you can get past that, you'll have yourself a flawed but enjoyable puzzle/action/platform hybrid. @Tempestryke That sounds really fun! Seems kinda advanced for its time. I'm surprised there are no references to it in Smash Bros that I have seen. I might get it then. @TheDavyStar I upgrades my copy of Startropics to the Wii U, and the letter is replicated in the digital manual, while in the game, press the 'Home' button and so to the story section, you'll see the same letter is there, but in picture format, next there is a button that says "submerge it", click and you'll see the hidden message.